Move over blonde there's a new hair color trend in town and it's called 'bronde'. A little brunette, a little blonde and a whole lotta perfect for fall color that I'm pretty much obsessed with. I've been blonde for basically my whole life except for an unfortunate two months in high school when I dyed my blonde locks brown from a box and it was not the right color for me. After months of visits to the hairdresser and hundreds of dollars getting my blonde back I knew I'd never switch things up again without consulting a professional. Lucky for me I've got Chantelle on my side. Chantelle, both my fantastic friend and even more fantastic hair stylist has been taking care of my locks for over 5 years. I met her at a time when I was in desperate need of someone who knew what they were doing when it came to coloring hair and she was the answer to my prayers. She always jokes with my that I'm one of her worst clients for always wanting to be blonder. Thankfully for me, she values the healthy of my hair and scalp and we spent the first few appts getting my hair to the perfect blonde that I've been rocking and loving for the past 5+ years (minus that small gap last summer when I had pink hair). So, when I messaged Chantelle and told her I wanted to switch things up a bit she was shocked when I asked to go bronde. Does anyone else get bored with their hair and wish they could change it all the time? That's me. I love to grow my hair out and then chop it all off but this time, I wasn't quite ready to lose the length so we went with a bit of a color change. Darken up the roots, slightly lighter ends and warm highlights all came together for my new fall and winter hair color- bronde! What do you guys think?! It's still a bit of an adjustment sometimes when I look in the mirror or see a photo of myself, I'm so used to being blonde! But I'm loving it! 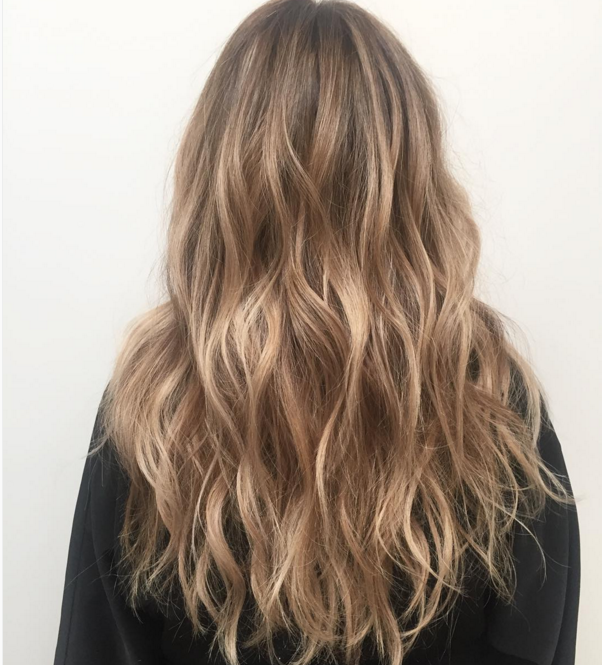 What do you think of the bronde trend? And do any of you guys switch up your 'do's for the changing seasons?